Before joining Metsimaholo Local Municipality as Chief Financial Officer, Ms.Motshidi Mokoena worked as Audit Manager: Performance Auditing at the Office of the Auditor-General in Bloemfontein and was transferred from Bloemfontein to Rustenburg in 2001. 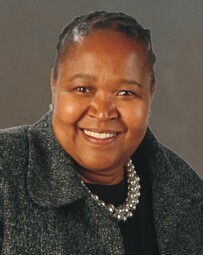 She completed her B.Com at the North West University in 1989. She is currently busy with her MBA at the North West University.